SurCode for Pro Logic II, MP3 Encoder from Minnetonka. 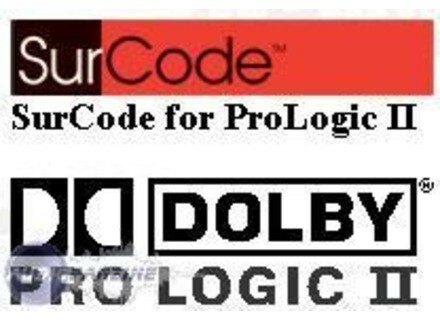 Minnetonka Audio Software announces the release of SurCode for Dolby Pro Logic II RTAS v1.5. Two new features upgrades have been added to the most popular Pro Tools plug-in in the SurCode family. First, multiple SurCode for Pro Logic II plug-ins can now be instantiated simultaneously in one session. The addition of multiple instance support in v1.5 allows engineers to create different mix down types in one pass. In addition, v1.5 adds the option to re-order and configure output channel routing to comply with different multi-channel naming assignments. SurCode for Dolby Pro Logic II RTAS v1.5 retails for $795 and is available through MASI's international network of pro audio resellers, and online at www.minnetonkaaudio.com. Registered users can upgrade at no additional charge via the web at www.minnetonkaaudio.com/register/upgrade.html. SFX Machine Pro RTAS The Sound Guy has announced that SFX Machine, the multi-effects and sound design tool, is now available in the RTAS plug-in format for Digidesign's Pro Tools systems for Mac OS X and Windows.